In any medical environment, physician-providers write both medication and non-medication orders. HealthSecure manages both types of orders using sophisticated workflows to reduce staff data entry needs and paperwork. The Medication order process has been streamlined to make it as simple, efficient and safe as possible. The “SIG”, e.g., 2 PO BID, can be based on your providers’ most frequent ordering patterns. This greatly cuts down data entry time and possibility of clerical error, especially when verbal orders are being entered by a nurse on behalf of a medical provider. This is fully customizable on a per-medication basis. We can pre-configure all your common medication ordering patterns during implementation. 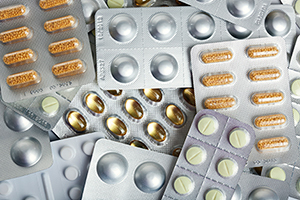 If the standard SIG is not appropriate, the provider can switch to an “advanced” mode in which all aspects of the medication order are editable. Finally, in keeping with recent CMS standards, whenever a PRN medication is prescribed, a reason is required. Tapers, keep-on-cart vs. keep-on-person, jail stock medications and other order variations can be done in “advanced” mode. However, the system is designed to optimize the most common cases, so your providers can get the most out of their precious time. Physician-providers can write orders themselves or verbally instruct nurses. Verbal orders go through a “Sign Off” process, as explained elsewhere. 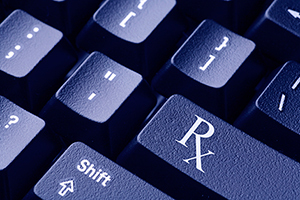 When an order is written, it is sent to a Pharmacy using an electronic process. During implementation, HealthSecure will be interfaced to whichever pharmacy your jail is using. A medication’s quantity on hand (QOH) is maintained at all times and automatically updated when the medication is received from the pharmacy. If the jail also maintains its own “stock” or “black bag” medications, the quantities are reconciled correctly, taking this into account. When a stack of medication bubble pack arrives back from the pharmacy, it is important to reconcile the incoming medications with the ones ordered, and to update the quantity of a given medication so that deliveries can start on the next pill-pass. 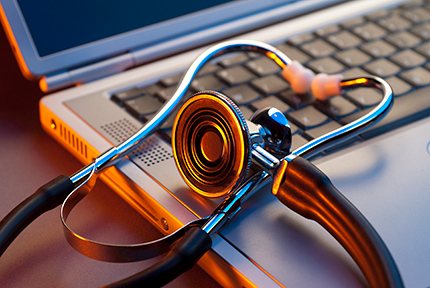 Manual reconciliation is time-consuming, so in HealthSecure a barcode scanner process is used. The receiving clerk simply scans each barcode and the incoming medication is matched to one which was ordered from the pharmacy. Special conditions are handled, e.g., the inmate was released before we got the medication. The jail can also configure the amount of time between which a medication is marked as “received” from the pharmacy, to when it actually shows up in the pill-pass. This allows for the time it takes to stock the medication cart with newly received medications. There are times when a physician-provider wants to schedule a medication to be dispensed only in the clinic, or a lab to be drawn at the same time a medication is delivered. For these situations, HealthSecure has a feature that allows the provider, while writing a medication order, to also create that corresponding non-medication order and link the two. HealthSecure allows the medical administrator to set up pill-pass delivery of medication tapers, which is useful for detox protocols and more. Using a simple tool, the administrator can choose a multiphase schedule of drug delivery, e.g., first start with 4x daily for two days, then 3x daily for two days, then 2x daily for two days, and finally once-a-night for two days. Once setup, taper orders can be created just as easily as ordering any other RX, with a single selection. This is both quicker and safer. If the jail manages its own supply of medications, in order to give certain items quickly without waiting for pharmacy delivery, orders can be written as “Use Stock”. For such orders, the medication request will still go out to the pharmacy as usual. But the medication becomes immediately available for delivery in the eMAR pill pass. The nurse will load the cart with tablets from the jail’s own stock and deliver to the inmate. When the medications do arrive from the pharmacy, the inmate’s “quantity on hand” is correctly updated to reflect the number of units already dispensed using jail stock medications. In certain circumstances, inmates may be authorized by medical administrators to keep some medications with them and self-dispense. If this is done with a controlled process, it can save the jail time. HealthSecure’s Keep On Person (KOP) medication feature is fully integrated into the eMAR pill-pass: if a provider writes a prescription and marks it as KOP, when the medication arrives, the nurse is instructed to give the entire bubble-pack to the inmate, instead of just one pill. Secondary workflows are used to then bring inmates in for scheduled KOP reviews. During that time, a nurse can count the inmate’s KOP medications; meanwhile, HealthSecure will compute counts of what the inmate should have if he took the medications according to schedule. The nurse can then decide if the inmate is compliant, or is under- or over-medicating himself. She can then update the actual quantity on hand in the system, and change the order status if necessary, e.g., if he is non-compliant, the order can be changed back to “Keep on Cart” (KOC). In some circumstances, inmates or their families may bring the inmate’s own home medications during the jail term. The benefit to an inmate is that he will not have to pay any applicable co-payments charged by the jail if he already has his medications at home, he can just use those. The benefit for the jail is that the medications need not be ordered from the pharmacy, which saves on cost and staff time. While this is a “win-win” situation and reduces medication waste, the process can be challenging to track with paper. HealthSecure has a sophisticated process for home medications which is fully integrated into the medication ordering and electronic pill-pass. Home medications can be captured both at the booking/intake screening or at a later time, whenever family brings in medications. HealthSecure handles medication order refills seamlessly. The jail can configure a “low water mark” that determines when a refill order is sent over the pharmacy interface. For example, you can set up refill requests to go out when the inmate has less than 5 days of supply left on hand. Whenever the medication’s quantity drops below the low water mark during the eMAR pill pass, a refill is automatically sent. Refills are also correctly handled for “KOP” medication scenarios as described above. An upcoming feature of HealthSecure (2014 Q3) is a powerful “protocol builder”. Your medical team can build a number of protocols that guide and control how your nursing staff handles dozens or even hundreds of medical scenarios. If desired, our Chief Medical Officer, an internal medicine physician with extensive clinical experience, is always available for consultation. The current health care staffing environment is challenging, and jails have to compete with hospitals and nursing facilities for staff. HealthSecure helps you preserve jail standards even in this challenging environment, where staff turnover is possible. By following established medical protocols which are configured specifically for your jail, new staff can “get up to speed” quickly, while long-time staff can work more efficiently.